The DESIGN Bundle bundles three sound design powerhouses into one indispensable package. Design pads, drones and ambiences, perform cross-filtering, and add pristine, lush reverb that harmonically adapts to your audio with ADAPTIVERB. Combine features of two sources into unheard new hybrid sounds, and create smooth morphing transitions with MORPH 2. 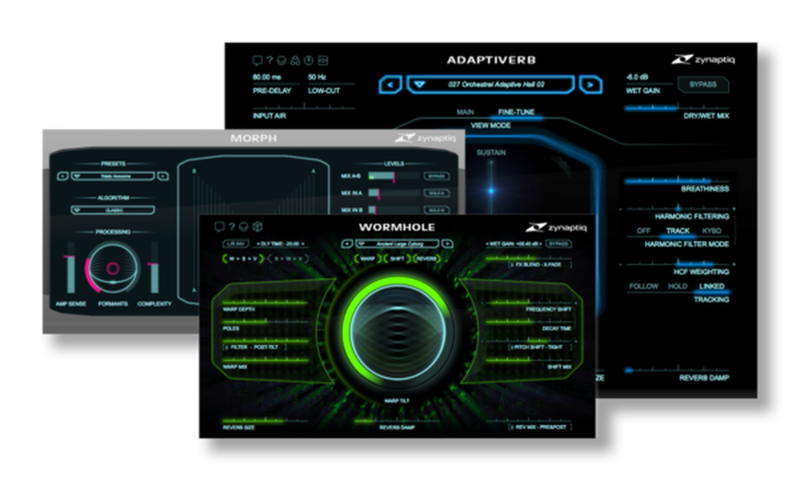 Transform your sounds with multi-effects processing ranging from the sublime to the otherworldly and extreme using WORMHOLE. Whether you are a sound designer, music producer, audio artist or film composer, the DESIGN Bundle is for you!